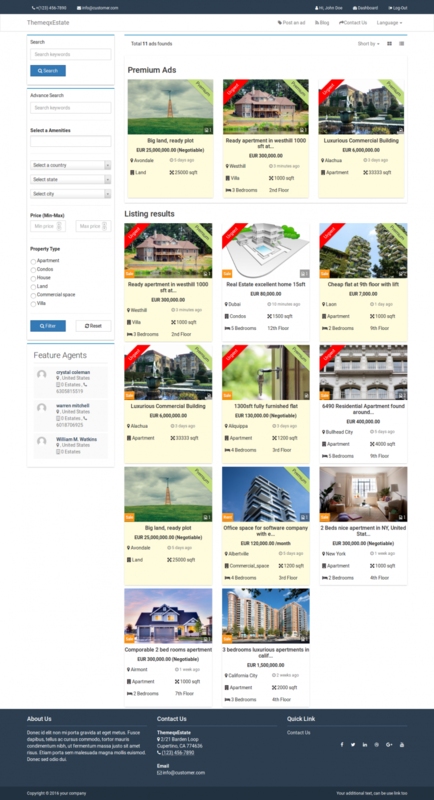 ThemeqxEstate is a larval real estate property script (php real estate script) that allows you to create powerful real estate classified property listing website within just 5 minutes. 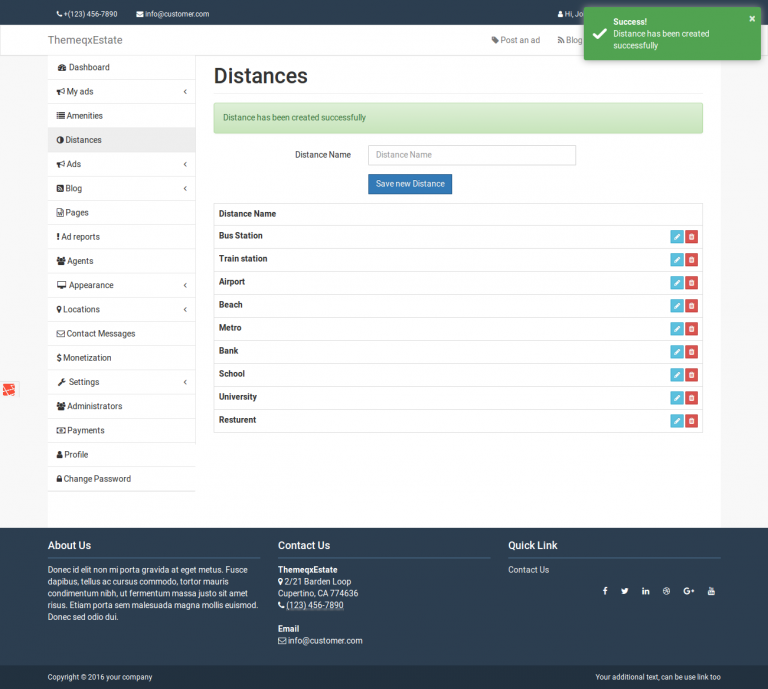 The steps are really simple, just buy this stunning classified script from CodeCanyon and install it to your server. Installation instruction will give with the package. ThemeqxEstate is a revolutionary application that implemented powerful feature like google map real estate locator, and share your ad with embedded is an extraordinary feature, let us explain some cool features. Agent list: you can feature an agent in real estate details page and listing page. So the visitor will see your agent and may trust you more. Google Map: Google Map lets you show your estate exactly where. Video preview: You can also set your property’s video to your details page powered by Vimeo or YouTube. Nothing has to do, just place that video URL in your field during create a property or edit. 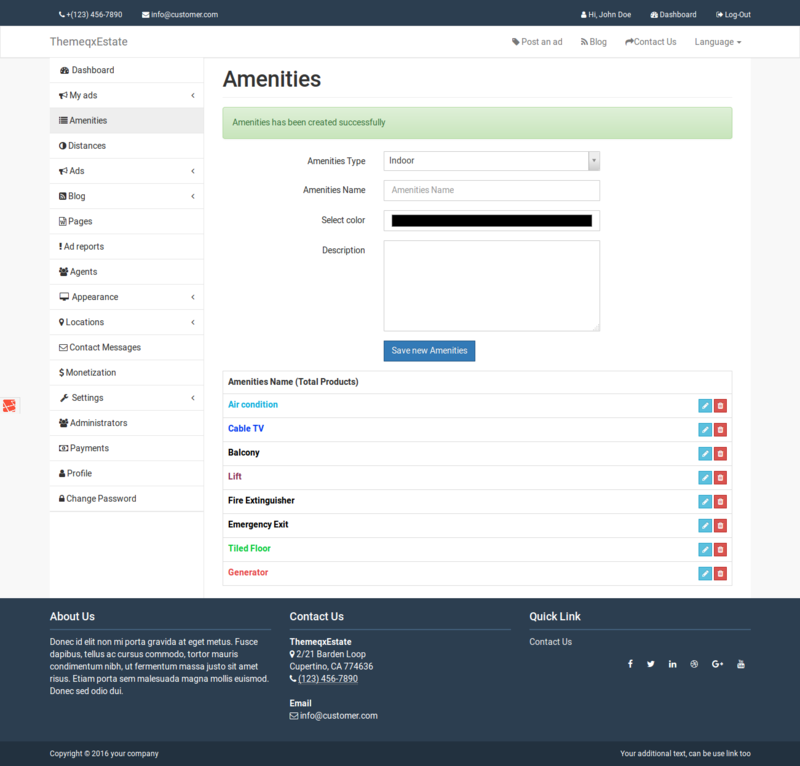 Amazon S3: Amazon S3, integrated with ThemeqxEstate real estate script listing script, so you can store your files and images to Amazon S3. Premium And Urgent: Premium and Urgent ads will attract more customers, and you can be charged to customer for it. The user has to be paid or not to add these types of property listing. Monetization: You can place ad code like Adsense or others for making money from this website. Just place ad code in the settings panel with dedicated field, then you will be done.